Sexual and domestic violence often intersects with other forms of oppression and hate violence, often encountered and experienced by those individuals with multiple marginal identities such as the lesbian, gay, bisexual, transgender, queer (LGBTQ) and HIV-affected people. Hate violence is manifested through physical violence, verbal and street harassment, sexual violence, and discrimination, and other forms of abuse. 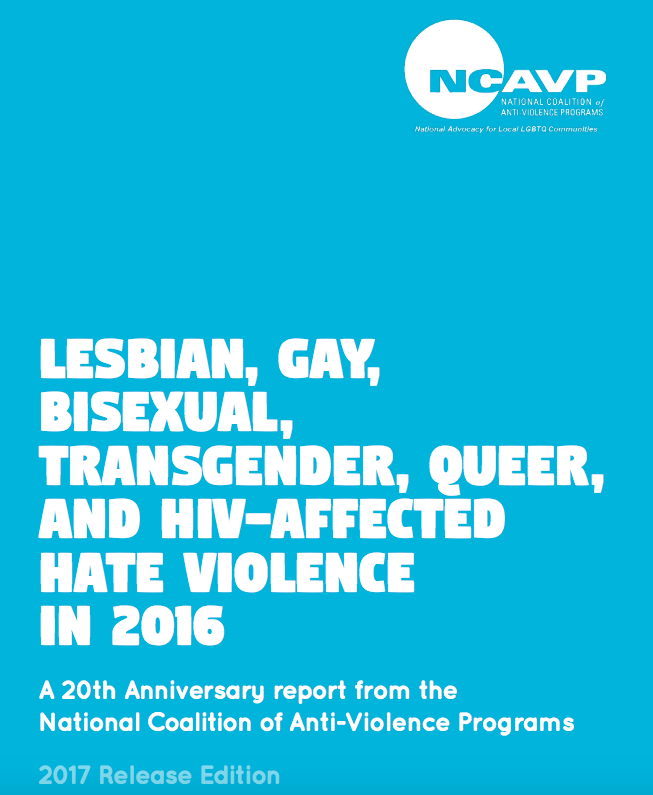 Unfortunately, multiple identities such as gender, sexual orientation, racial, ethnic, and immigration status, uniquely impact how LGBTQ and HIV affected survivors experience hate violence and their experiences seeking help and support. With the one year anniversary of the Orlando Pulse nightclub shooting this week, the timely release of this report only seems relevant. 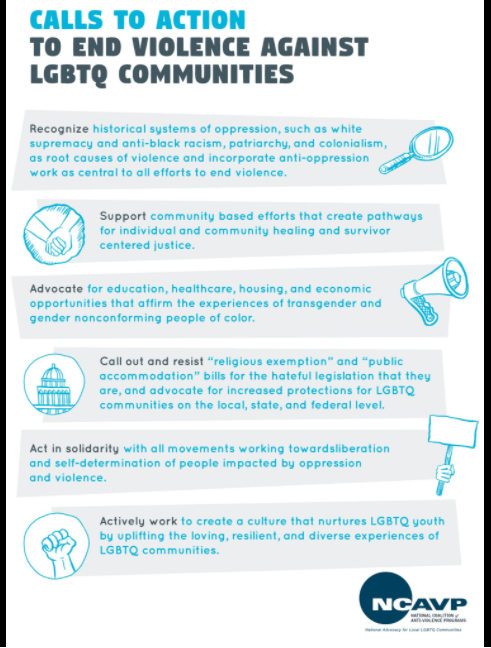 Creating safe, inclusive, and respectful work, home and school spaces for LGBTQ and HIV affected individuals. Due to the increase in hate violence experienced online in 2016 particularly by youth and Latinx survivors, it is necessary to develop resources and programs preventing online harassment. It is also critical that we center the voices, experiences, vision and leadership of those most affected by hate violence when creating programs and policies in prevention and response, and community strategies to tackle the root causes of hate violence. The unique experiences of those affected by hate violence includes transgender and gender non-confirming individuals, LGBTQ people of color and youth, LGBTQ people with disabilities or undocumented. To summarize, shifting the culture and preventing hate violence is possible when we recognize historical systems of oppression, support community-based initiatives for healing and trauma-informed spaces, and most importantly, creating a culture that is affirming, inclusive and representative of LGTBQ communities.